Chief among cord-cutter complaints is that they’re paying for too many channels they don’t want. A new survey of more than 3,000 people from research firm Digitalsmiths shows us which channels people do want, and the results are a little surprising. For all the obituaries written about broadcast TV, when Digitalsmiths asked people what networks they’d choose to include in a TV package comprising only channels they wanted to watch, four of the top seven networks chosen were broadcasters: ABC (62 percent and the clear winner), CBS (57 percent), NBC (56 percent) and Fox (49.5 percent). That could be interpreted as bad news for cable TV as well, since those networks can be grabbed for free with a digital antenna. The rest of the top 20 consists mostly of various reality-skewing nets like Discovery (the second-most in-demand), Food Network, HGTV and The Weather Channel; and purveyors of premium dramas like AMC, FX and HBO. Nearly 50 percent of the surveyed consumers would include HBO, which makes the respondents’ chosen TV package price of $40.50 per month a little laughable. In fact, nearly 22 percent of those surveyed wanted to pay only $10-20 per month for their TV programming. Not only does HBO cost about $15 a month with a cable package, as does standalone internet service HBO Now, even just a basic Netflix subscription will run you $10 a month now. And for all the importance the TV industry places on sports, ESPN was, somewhat counterintuitively, nowhere near the top: Less than 40 percent of people surveyed would keep the channel that currently costs cable subscribers $6.64 (according to media research firm SNL Kagan). Disney Chairman Bob Iger might cringe a bit at that number, particularly since the Worldwide Leader in Sports has lost 7 million subscribers in the past two years. 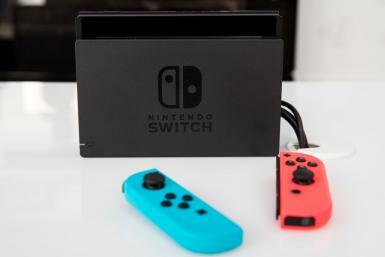 But Digitalsmiths Senior Marketing Director Billy Purser explains that it’s less of an odd result than one might think. 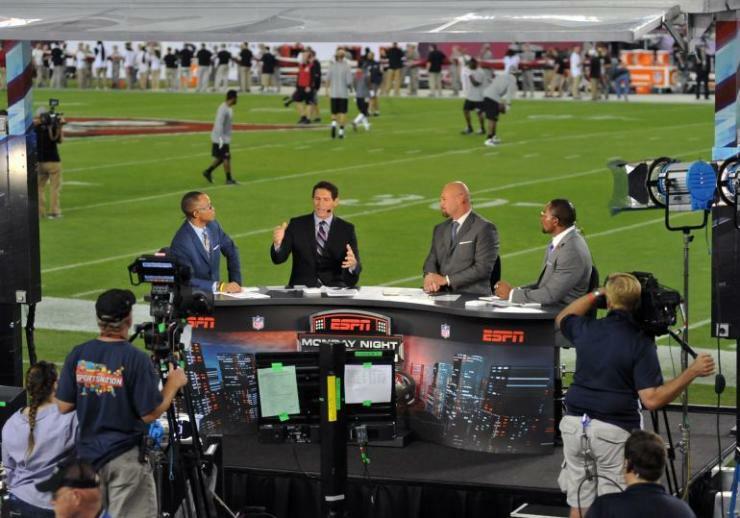 While there are a lot of female sports fans out there -- more than a third of the NFL’s audience is female -- the number of women in general who would rank ESPN as a must-have is less than the number of men who would. And since men are also not a homogenously sports-rabid cohort, the network would be hard-pressed to make up for that shortfall. Beleaguered cable giant Viacom might want to take note of these numbers as well. Setting aside Comedy Central, less than 30 percent of respondents would want any of the company’s channels, including MTV, Nickelodeon and VH1. 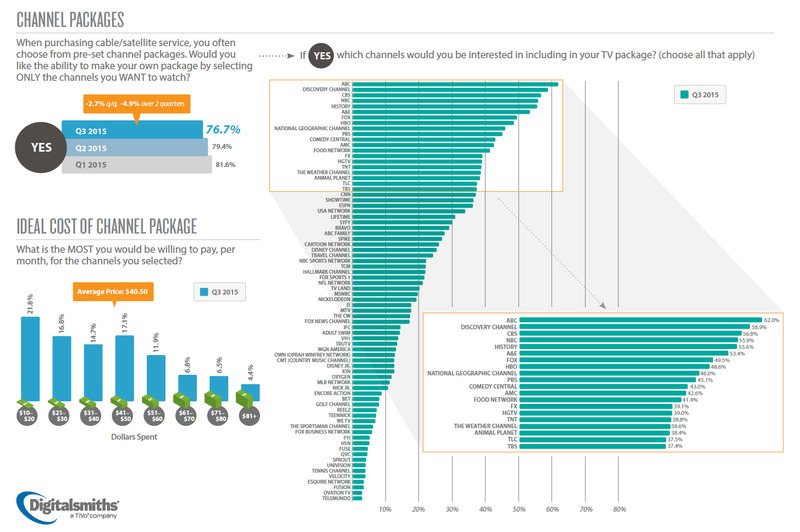 The data shed further light on the wide gulf between what pay-TV customers and programmers want. But while customers might not want all these networks, in most cases they’re not paying much for them. Sure, AMC bundles itself with apparently little-desired IFC and WEtv, but IFC adds only 20 cents to your bill, and WEtv clocks in at only about 10 cents, per SNL Kagan estimates. Not a bad price for when you just want to sack out on the couch to a random “Lethal Weapon” movie marathon.